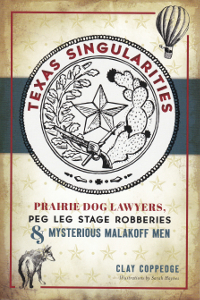 Saturday, July 9th, 2016, 2:00-4:00 p.m.
Joy Jones will be with us Saturday with her historical novel of the life of Edna Milton, owner of the infamous Chicken Ranch. Edna Milton never planned to become a madam, but life dealt her some devilishly rough blows beginning at an early age. With very little education to sustain her, she elected to survive the only way she knew how: exchanging pleasure for hard cash, and in tough economic times, for chickens. Instead of merely surviving, Miss Edna chose to thrive, and her skills at organization and customer service – plus setting strict rules for behavior – built a fortune to match her legendary reputation. 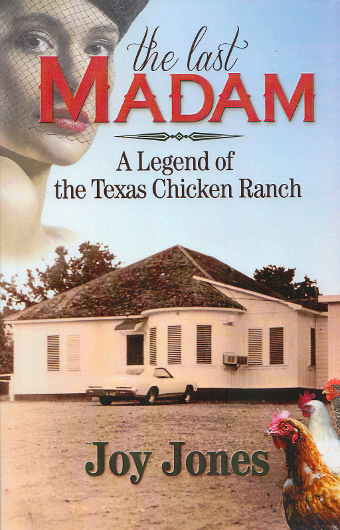 When the tide turned against her again, the Last Madam of the Texas Chicken Ranch reinvented herself one more time. 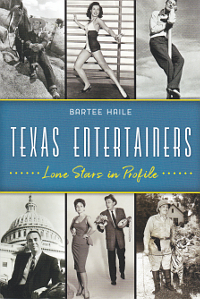 Joy Jones did an interview about the book with Houston Matters. The Podcast can be found here.